With so much news focused on the Ebola epidemic in Africa, parents and other caregivers should think about how to help children feel safe, experts say. "Children are almost always listening," said Dr. Allison Baker, a pediatric psychopharmacologist at the Child Mind Institute in New York City. "They hear words and phrases, but this doesn't mean that they have the ability to contextualize it the way we as adults do." She said it's important not to underestimate how much children are listening or to overestimate how much they can understand what they hear. "Even if they parrot a phrase or word back at you -- 'I'm scared about Ebola' -- this doesn't mean they have a comprehensive understanding of what they are saying," Baker said. "It may just be something they heard at school. I would caution parents against reading too deeply into things their children are saying." At the same time, however, parents need to be aware that children feeling genuinely fearful can't work through frightening information the way adults do, said Sarah Feuerbacher, director of the Center for Family Counseling at Southern Methodist University in Plano, Texas. "What we need to keep in mind for children is that they don't have the mental or emotional capacity to process through scary information to appropriately define a stressor," she said. Kids look to caretakers to protect them and to be a filter for possible stressors, she said. This includes reducing their exposure to news about the viral outbreak linked to nearly 4,500 deaths in West Africa and one in the United States. "Listening to continuous news coverage about crises or traumatic events is not good for adults, much less children," she said. Kids start becoming more aware and able to understand what they hear around age 7, Baker said. But Feuerbacher said the desire to make sense of their environment starts even earlier. "Typically around age 4, children begin developing a sense of judgment, which means they are seeking to learn and understand what is happening on a larger scale within the world around them," Feuerbacher said. That means a 4-year-old may be likely to ask questions about a newscast heard in the car. 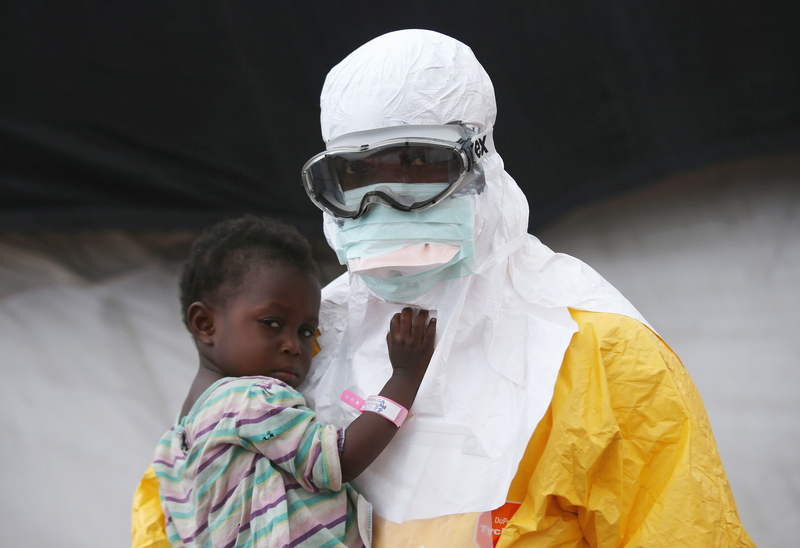 If a child does ask about Ebola, don't make assumptions about what the child might think or feel. "Let the children lead the conversation by asking them what they do know and what questions they have," Feuerbacher said. Even if children say they are scared of Ebola, they may think of it as a monster, for example, rather than a disease, she said, so parents should ask questions such as "What scares you about it?" As parents answer children's questions, they should help children know what they can do to stay safe, Feuerbacher said. She offered the following possible script for parents: "Do you remember when you had the flu last year? Ebola looks a lot like the flu and doctors are learning how to help people be treated for it and keep from getting it. What keeps us healthy from all sicknesses is washing our hands all the time, not eating or drinking after anyone and keeping our hands to ourselves. Do you have any ways that you'd like to help our family stay healthy this year?" This kind of discussion educates kids on healthy practices without being threatening, Feuerbacher said, and it provides them a sense of control over their lives by actually engaging in healthy practices. Baker added that children are more likely to come to adults with concerns if they feel safe asking questions in the first place. "I would advise parents to work on creating a calm and supportive environment in which children know they can ask anything that may come up at school or that they don't understand," Baker said. In general, she said, "it's best not to force children to talk about something if they're not bringing it up." Parents don't need to bring up Ebola if they do not think their children have heard about it, both experts said. "There is a school of thought that it is better to bring it up because then you are the one giving them information upfront," Baker said. However, "the risk of this approach is that you may be introducing something that has not even crossed their radar, and out of your own anxiety." Children pick up on that anxiety, Baker said, so parents should model healthy responses to unsettling information. Feuerbacher explained that if an adult acts scared or panicked, children will assume they should also. "If an adult is calm and actively using protective measures," she added, "the child will feel a sense of security and empowerment that they are safe and in control of their situation."